The Midvale Cottage Post: Home Sewing Tips from the 1920s - Adding Scalloped Trim to Frocks! 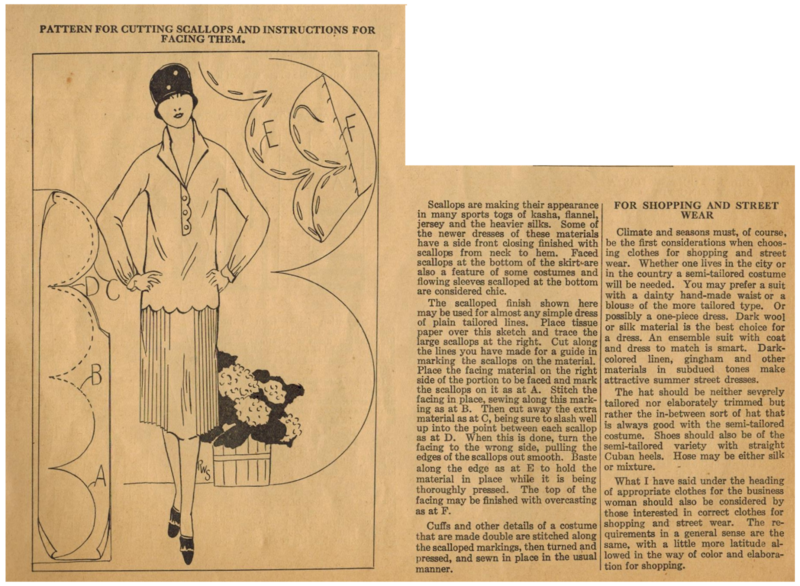 Home Sewing Tips from the 1920s - Adding Scalloped Trim to Frocks! I have to admit, this tip has to be one of the most versatile of Ruth Wyeth Spear's tips for 1920s home sewer. A scalloped edge on a garment is a favorite no matter what the decade. With Ruth's template you can change a garment to include scalloped edging painlessly. Sweet! As always, click on the image to enlarge it for printing out the template, and just easier reading.